Area residents are trying to stop a plan to pull the plug on an Ulster County lake. The commission set to drain the lake says a dam it wants to remove does not meet safety requirements and restoration work would be too costly. Executive Director of the Palisades Interstate Park Commission James Hall sent a letter dated March 28 to homeowners near Tillson Lake. The letter says the Tillson Lake Dam no longer meets dam safety requirements for Class C dams. So the Commission is taking steps to design and seek approval for the dam’s removal with plans to restore the lake back to a natural stream corridor. This doesn’t sit well with Annie O’Neill, founding member of Save Tillson Lake. But Hall says it could cost up to $9 million to bring the dam into compliance and after exploring options and seeking funds to do that, the Commission has come up empty-handed. O’Neill believes the estimated cost of restoration work is too high. Hall says that in the coming months, the Commission will be revising the Minnewaska State Preserve Master Plan pertaining to Tillson Lake. Marybeth Majestic is town supervisor of Gardiner, home to Tillson Lake. She says draining the lake would affect the town economically. “So if assessments go down as a result of this action, we will lose real estate tax revenues, which is the primary source of where we get our revenue to run the town,” says Majestic. In an effort to raise awareness and prevent the lake from being drained, another member of Save Tillson Lake has started a petition on change.org. O’Neill again underscores the lake as a regional asset. “There are very few lakes that people can use in southeastern Ulster County,” O’Neill says. “The town board will consider passing a resolution supporting the local residents in any way that we can,” Majestic says. Save Tillson Lake is holding an “I Love Tillson Lake Day” on Saturday from 2-5 p.m., at the Tillson Lake parking lot on Lake Road. 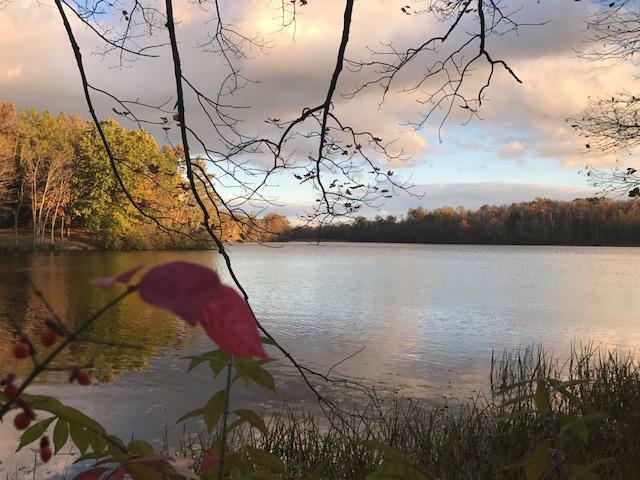 On Earth Day Eve, Governor Andrew Cuomo announced that 88 revitalization and rehabilitation projects, totaling $71.7 million, will be completed at 60 state parks and historic sites across New York this year. The state Commissioner of Parks, Recreation and Historic Preservation was in the Hudson Valley to talk about some local projects today. Office of Parks, Recreation and Historic Preservation Commissioner Rose Harvey was at Bear Mountain State Park Tuesday to highlight 18 projects in the Mid-Hudson region that are on the receiving end of $13.4 million. Dozens of acres of undeveloped land are expected to be added to a state preserve in Ulster County.